Clinical pathology involves the laboratory evaluation of blood, fluids or body tissues in order to identify existing disease. Common laboratory tests include blood chemistry, complete blood counts, blood clotting times, urinalysis, faecal tests, biopsy examination, cultures and infectious disease testing. 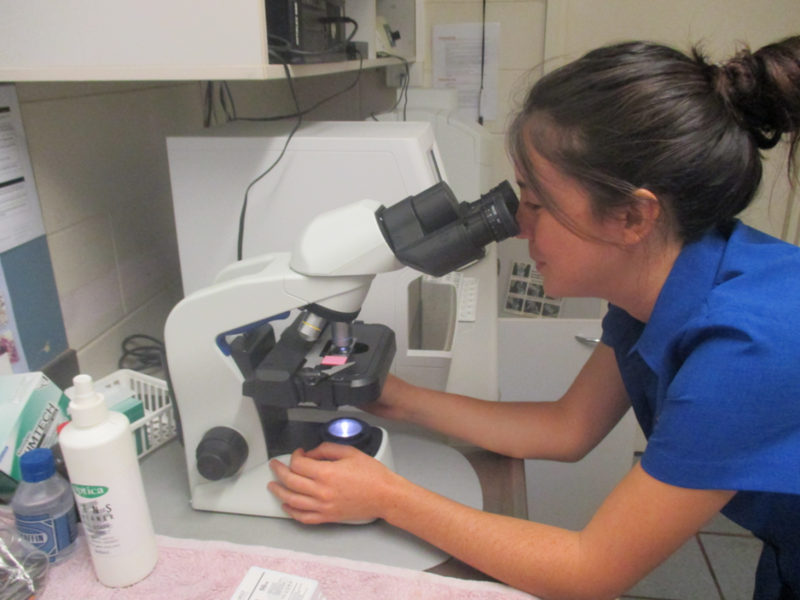 Our animal hospital is equipped with a state of the art in-house laboratory that allows our veterinarians to quickly perform many of these diagnostic tests to achieve an accurate and rapid diagnosis. This is especially important in very ill animals and those requiring immediate or emergency treatment. 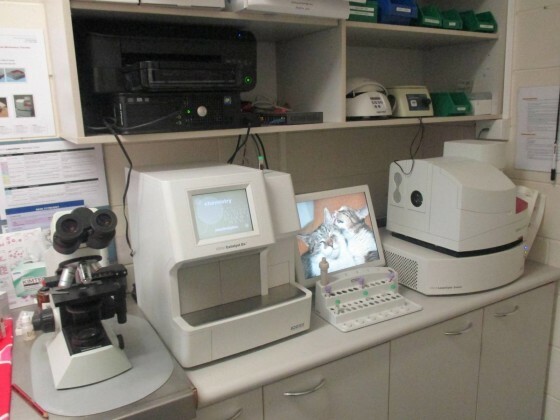 Our in-house laboratory can provide results within minutes. Specialised testing may take 12-24 hours for blood results or up to 7 days for biopsy results, depending on the nature of the test being performed.